begins at the Top of the South Island. 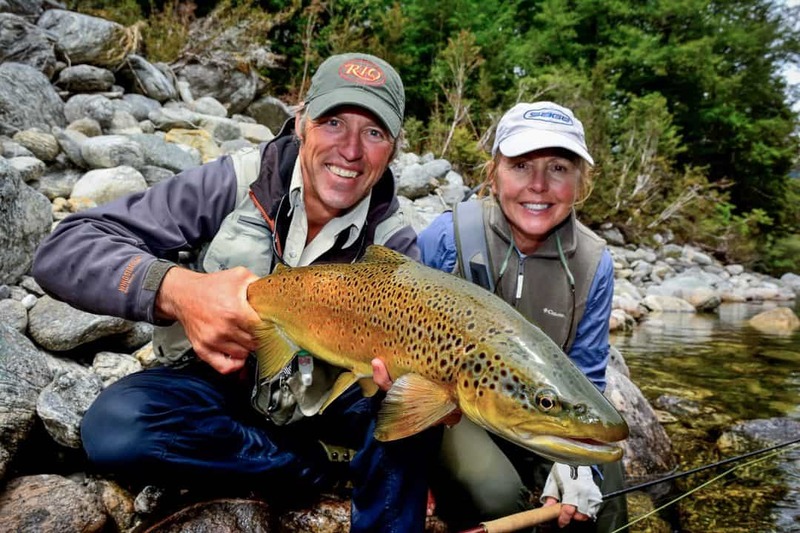 Our expert team would like to give you a taste of Fly Fishing New Zealand style. 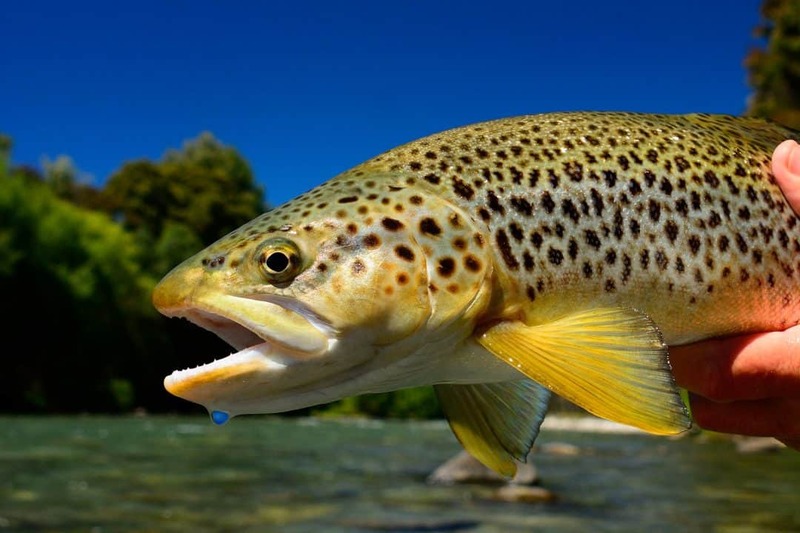 We specialize in sight fishing for large NZ Brown Trout in unbelievably clear water. Whether you are a beginner and/or expert, our team strive to give you an enjoyable experience on the river and teach you about our unique flora, fauna and landscape. 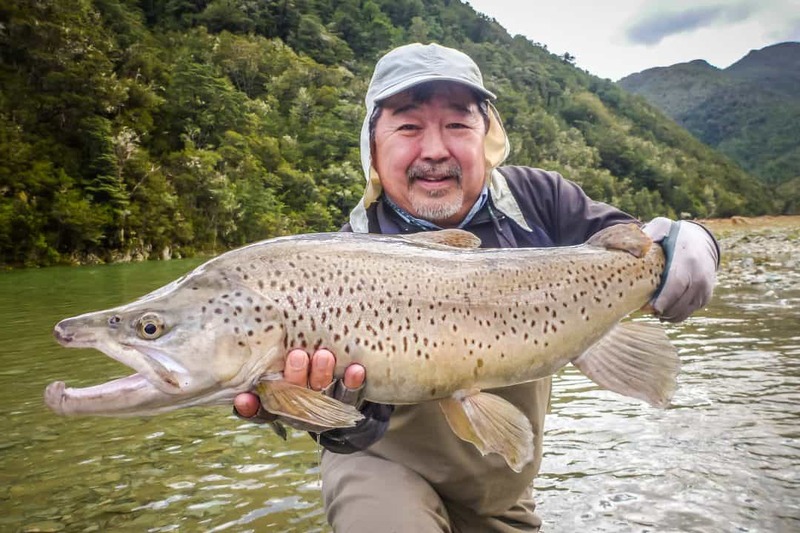 With its crystal clear rivers and large brown trout populations, the top of the South Island has become recognised as the prime brown trout fishery in the country … some say the world. Aaron has over 11 years of guiding experience here in the Top of The South Island of New Zealand and around the world.
" FLY FISHING IS NOT JUST A PASTIME, IT’S A PASSION! GREAT GUIDES MEAN GREAT ADVENTURE!" Uppacreek Guiding was founded by Aaron Ford back in 2002. 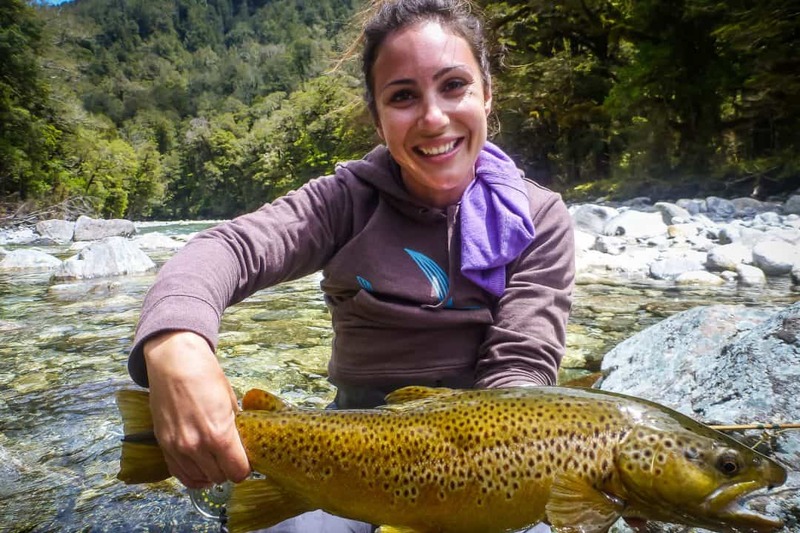 The idea was borne from a chance meeting in 2000 with an American fishing guide, Patrick Moore, at the Salisbury Hut in the Karamea River area. After a few hours of chat over some vegemite and cheese sandwiches and a Cuban cigar, Aaron & Patrick soon became friends. Patrick then taught Aaron how to cast a fly. This simple gesture quickly developed into an addiction and a passion. In 2005 Aaron decided to become a full time fishing guide and has never looked back. Since his chance meeting with now lifetime friend Patrick, Aaron has had the opportunity to work in Alaska, Mexico, and Russia managing fishing lodges, guiding, meeting amazing people and making lifelong friends. Aaron is now in cahoots with two other fishing guides here in the Motueka area. They fish together & share knowledge together and are now all part of a team with a combined experience of around 50 years. Aaron is also a member of the NZPFGA. UPPACREEK BRINGS FLY FISHING TO LIFE! 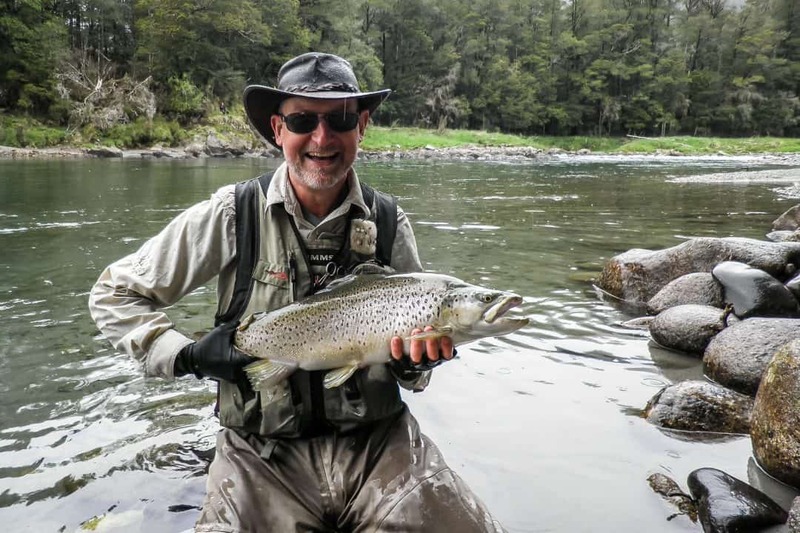 Based just outside of Motueka, Uppacreek Guiding offers fantastic accommodation ranging from motel & home-style accommodation to high end lodges and local access to many crystal clear rivers filled with brown trout. With a lifetime of local experience Aaron offers fishing and camping trips (including helicopter fly-ins) specifically tailored to meet your needs. The Top of the South is an awesome area to explore with a rod. Rivers range from remote streams flowing down through forested mountain valleys to large open rivers. 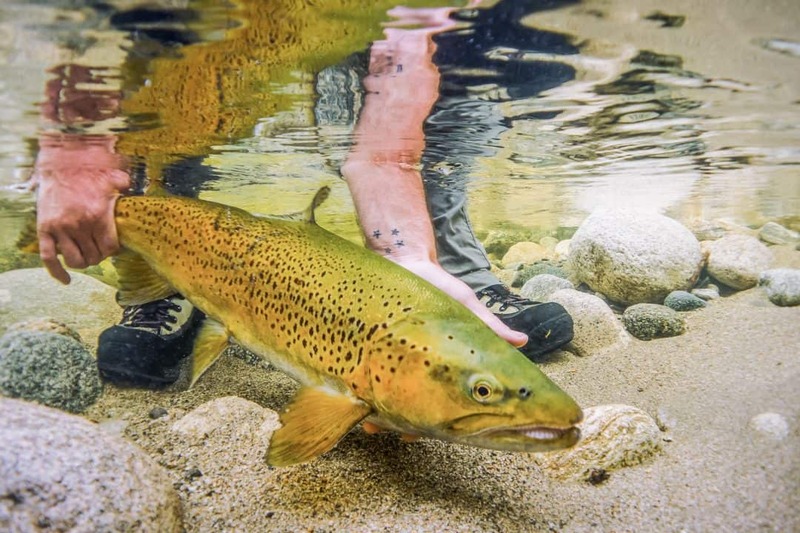 The amazing clarity of the rivers mean that most fish are sighted before the cast is made. Our brown trout average around 4.5 lb with the chance of encountering that fish of a lifetime - a 10 lb brown! 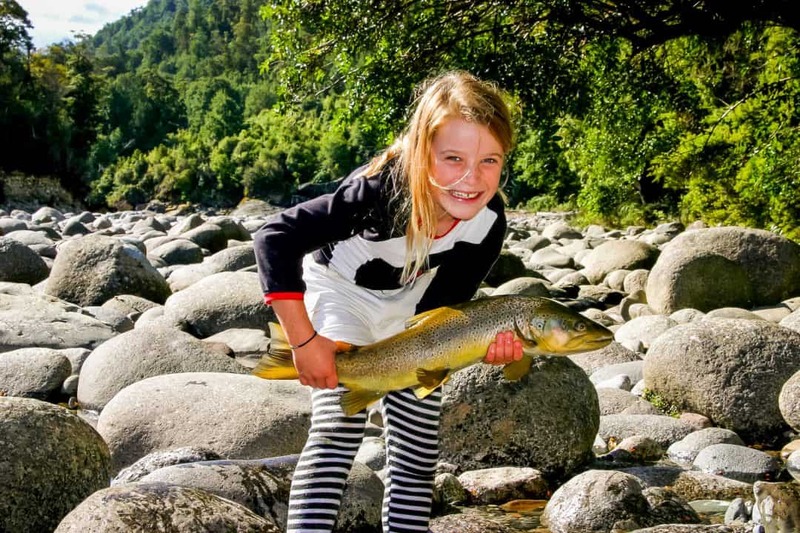 Catch fish in the South Islands varying rivers and scenery. The ultimate adventure exploring the more inaccessible rivers that the South Island has to offer! There are fly fishing guides and then there are fly fishing guides. We think you know what we mean. We're talking about those unique individuals who will go the extra mile, try anything, climb trees, scale vertical banks do whatever it takes to find their clients a fish. They live and breathe fly fishing. After a long day on the stream they go home, tie flies, fix tackle, repair leaky boots, have a beer, and crash into bed. The next morning they're back at our side hunting trout -- doing what they do best. They are a rare breed indeed. Aaron Ford is without question a member of that rare breed. Commitment to finding that fish! You can totally trust us to plan a journey that will suit your needs even if that includes a helicopter ride!! You deserve it! Contact Aaron now to start planning your trout hunting expedition!! Here are a few photos from some of our New Zealand adventures !! Sometimes these fish are wary and so not so easy to catch but there is nothing like coming across a couple of huge trout gently feeding in a clear bubbling stream to test the skills of the best of anglers. "We have spent more hours then we can count with Aaron, always having fun, always learning something new but most of all admiring his never ending enthusiasm, his commitment to finding a fish no matter how difficult the task. We often joke after a trip with Aaron that he has to be the Indiana Jones of fly fishing. 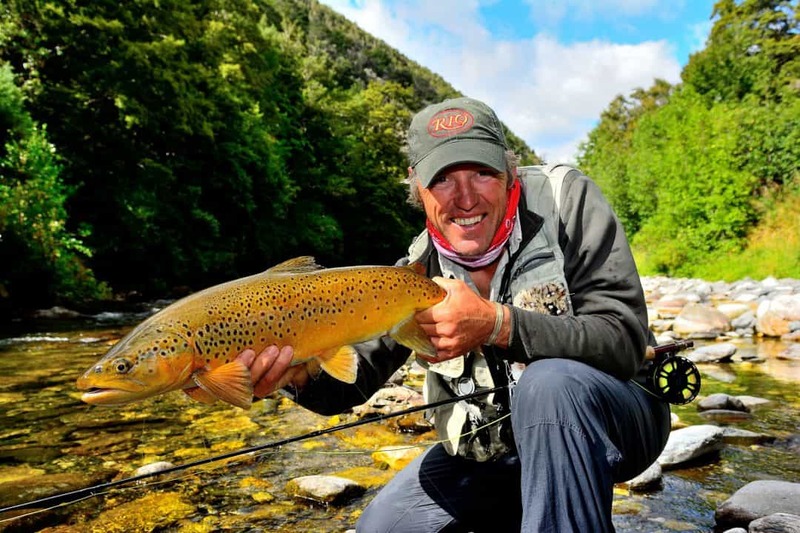 The south island of New Zealand is the Everest of trout fishing and the Kiwi guides are some of the best trout hunters in the world and in that mix is Aaron Ford." "Fishing with Aaron is one of the highlights to my year each season. His enthusiasm, humour, amazing eyesight and guiding skills put him at the top of my ‘favourites' list!" The adventure is in the hunt, the exploration and of course the fishing. The stories told along the way and the local knowledge make for a fun-filled, entertaining and relaxing trek. You'll most likely enjoy the scenery and the company as much as the fishing experience! 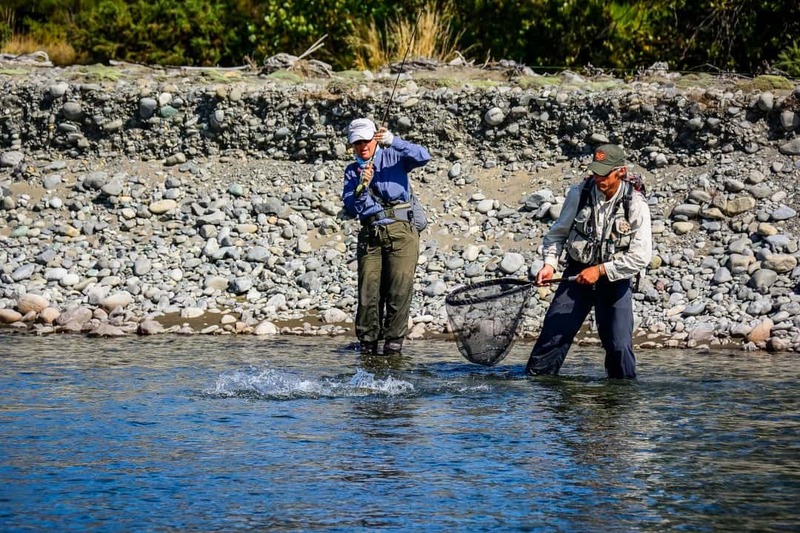 Big or small, we've got the fly fishing trip to suit you! Standard rates start at NZ$700 /day. Contact us to plan your fishing expedition and we'll send you a few options and prices. We're looking forward to sharing an adventure with you!